The City of Oakland Public Works Department has received this issue. It is registered as service request #586813. Please check back for status updates, or contact us directly at 510-615-5566. The City of Oakland Public Works Department has received this issue. It is registered as service request # 552871. Please check back for status updates or contact us directly at (510) 615-5566. Way more graffiti covering the SE corner of Hollis and 34th Street. The City of Oakland Public Works Agency has received this issue. It is registered as service request # 504865. Please check back for status updates or contact us directly at (510) 615-5566. Thank you for contacting the Public Works Agency, but additional information will be needed before your service request can be processed. We need a detailed description of what the graffiti is on. Is it private property, or in the right of way, street light, litter container, sidewalk? If in private property please provide the property address. This information will help us better process your request. Your assistance in this matter is greatly appreciated. The City of Oakland Public Works Agency has received this issue. It is registered as service request # 502362. Please check back for status updates or contact us directly at (510) 615-5566. The City of Oakland Public Works Department has received this issue. It is registered as service request #571571. Please check back for status updates, or contact us directly at 510-615-5566. Once again this all on the property owners. All PWD ever does is sic Code Enforcement on the property owner. Where is the enforcement to stop the spray vandals. That is also on the property owners to buy cameras then go thought the whole process to make sure they get prosecuted. Who has that kind of time. If try to stop them your self they will sue you for violating there rights. 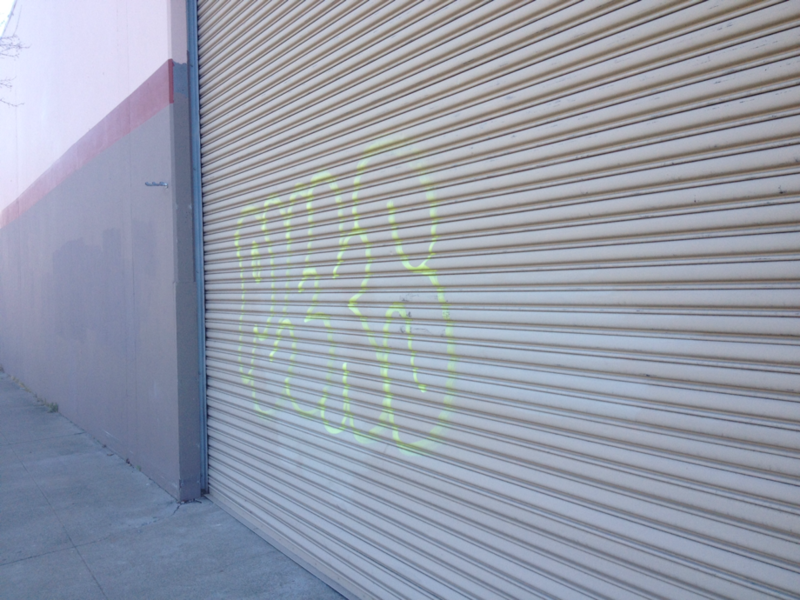 So the spray vandal epidemic continues unchecked. The City of Oakland Public Works Department has received this issue. It is registered as service request # 532132. Please check back for status updates or contact us directly at (510) 615-5566. The City of Oakland Public Works Department has received this issue. It is registered as service request # 568783. Please check back for status updates or contact us directly at (510) 615-5566. The City of Oakland Public Works Department has received this issue. It is registered as service request # 569195. Please check back for status updates or contact us directly at (510) 615-5566. The City of Oakland Public Works Department has received this issue. It is registered as service request # 565865. Please check back for status updates or contact us directly at (510) 615-5566. The City of Oakland Public Works Department has received this issue. It is registered as service request # 566971. Please check back for status updates or contact us directly at (510) 615-5566.